Are you ready for this year’s March Music Madness? As one of the first teacher bloggers to write about the idea of March Music Madness, we are excited for our sixth annual tournament. This year we have teamed up with Senor Ashby who has assembled hundreds and hundreds of teachers nationwide to partipcate in a Locura de Marzo bracket. You are welcome to join us as the competition offically kicks off on March 1. Head over to 2019 Locura de Marzo Headquarters to find out all the details and information on how to have your students vote. This product comes with EDITABLE files for your convenience as well as PDF versions for no-fuss printing. And this year, we are excited to announce a contest for teachers. Before the tournament starts, fill out your bracket and submit your predictions to be eligible to win our “Bracket Challenge” contest! 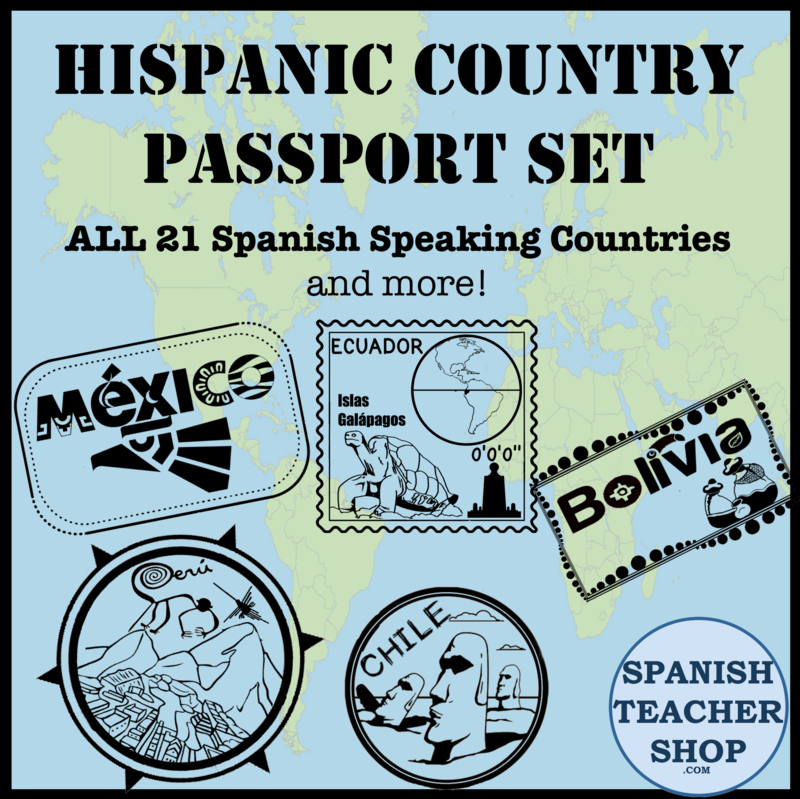 All Spanish teachers within the US are eligible to win. Simply submit your predictions. Terms: One submission per teacher, Submissions must be submitted before March 1, 2019. No Purchase necessary. 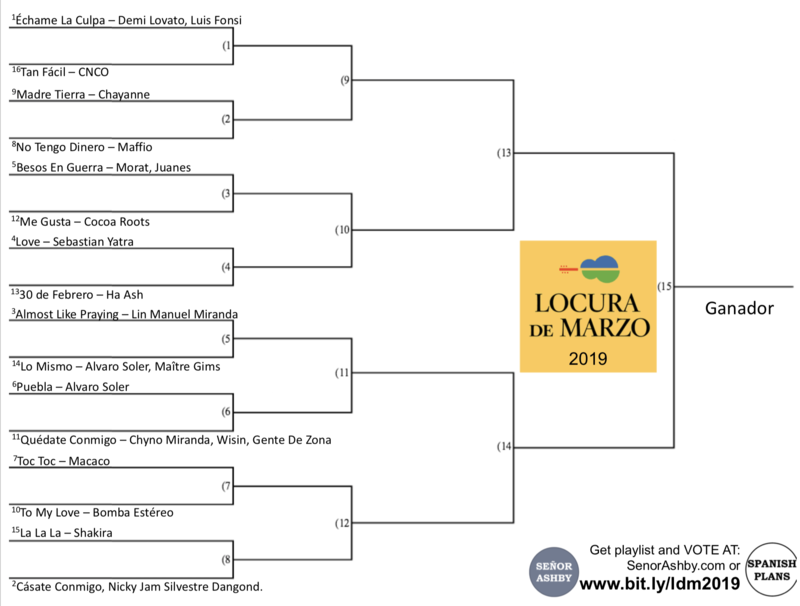 This entry was posted in Music and tagged contest, Locura de Marzo, march madness, March Music Madness, MarzoDeMusica, music, musica. Bookmark the permalink. Kinda bummed to see two repeat songs from last year (Échame la culpa and Cásate conmigo)…I do these brackets with my kids every year, and really enjoy showing them songs they haven’t hear yet. Any back up suggestions if I want to swap those out? Hmmm, I don’t remember those 2 from last year. I’m sad that only US teachers can win the bracket challenge! I live below the 49th parallel on Vancouver Island; could I still enter? for 1st through 4th place, yes.